NVIDIA uses containers to develop, test, benchmark, and deploy deep learning (DL) frameworks and HPC applications. We wrote about building and deploying GPU containers at scale using NVIDIA-Docker roughly two years ago. Since then, NVIDIA-Docker has been downloaded close to 2 million times. A variety of customers used NVIDIA-Docker to containerize and run GPU accelerated workloads. NVIDIA offers GPU accelerated containers via NVIDIA GPU Cloud (NGC) for use on DGX systems, public cloud infrastructure, and even local workstations with GPUs. NVIDIA-Docker has been the critical underlying technology for these initiatives. The adoption of container technologies other than Docker for an ever-evolving set of use cases for DL and HPC workloads among others led us to fundamentally rethink our existing NVIDIA-Docker architecture. Our primary goal pursued extensibility across not only various container runtimes but also container orchestration systems. The NVIDIA Container Runtime introduced here is our next-generation GPU-aware container runtime. It is compatible with the Open Containers Initiative (OCI) specification used by Docker, CRI-O, and other popular container technologies. You’ll learn about the NVIDIA Container Runtime components and how it can be extended to support multiple container technologies. Let’s examine the architecture and benefits of the new runtime, showcase some of the new features, and walk through some examples of deploying GPU accelerated applications using Docker and LXC. NVIDIA designed NVIDIA-Docker in 2016 to enable portability in Docker images that leverage NVIDIA GPUs. It allowed driver agnostic CUDA images and provided a Docker command line wrapper that mounted the user mode components of the driver and the GPU device files into the container at launch. As a result, the redesigned NVIDIA-Docker moved the core runtime support for GPUs into a library called libnvidia-container. The library relies on Linux kernel primitives and is agnostic relative to the higher container runtime layers. This allows easy extension of GPU support into different container runtimes such as Docker, LXC and CRI-O. The library includes a command-line utility and also provides an API for integration into other runtimes in the future. The library, tools, and the layers we built to integrate into various runtimes are collectively called the NVIDIA Container Runtime. In the next few sections, you’ll learn about the integration into both Docker and LXC. Before diving into NVIDIA Container Runtime integration with Docker, let’s briefly look at how the Docker platform has evolved. Since 2015, Docker has been donating key components of its container platform, starting with the Open Containers Initiative (OCI) specification and an implementation of the specification of a lightweight container runtime called runc. In late 2016, Docker also donated containerd, a daemon which manages the container lifecycle and wraps OCI/runc. The containerd daemon handles transfer of images, execution of containers (with runc), storage, and network management. It is designed to be embedded into larger systems such as Docker. More information on the project is available on the official site. Figure 1 shows how the libnvidia-container integrates into Docker, specifically at the runc layer. We use a custom OCI prestart hook called nvidia-container-runtime-hook to runc in order to enable GPU containers in Docker (more information about hooks can be found in the OCI runtime spec). The addition of the prestart hook to runc requires us to register a new OCI compatible runtime with Docker (using the –runtime option). At container creation time, the prestart hook checks whether the container is GPU-enabled (using environment variables) and uses the container runtime library to expose the NVIDIA GPUs to the container. Integration at the runc layer also allows flexibility to support other OCI runtimes such as CRI-O. Version 1.1 of containerd added support for the Container Runtime Interface (CRI) in Kubernetes; last week Kubernetes announced the general availability of the containerd integration via the CRI plugin. The new architecture of the NVIDIA runtime can easily support either choice of runtime with Kubernetes. This level of flexibility is important as we work closely with the community to enable first-class GPU support in Kubernetes. The NVIDIA Container Runtime uses environment variables in container images to specify a GPU accelerated container. NVIDIA_VISIBLE_DEVICES : controls which GPUs will be accessible inside the container. By default, all GPUs are accessible to the container. NVIDIA_DRIVER_CAPABILITIES : controls which driver features (e.g. compute, graphics) are exposed to the container. NVIDIA_REQUIRE_* : a logical expression to define the constraints (e.g. minimum CUDA, driver or compute capability) on the configurations supported by the container. If no environment variables are detected (either on the Docker command line or in the image), the default runc is used. You can find more information on these environment variables in the NVIDIA Container Runtime documentation. These environment variables are already set in the official CUDA containers from NVIDIA. 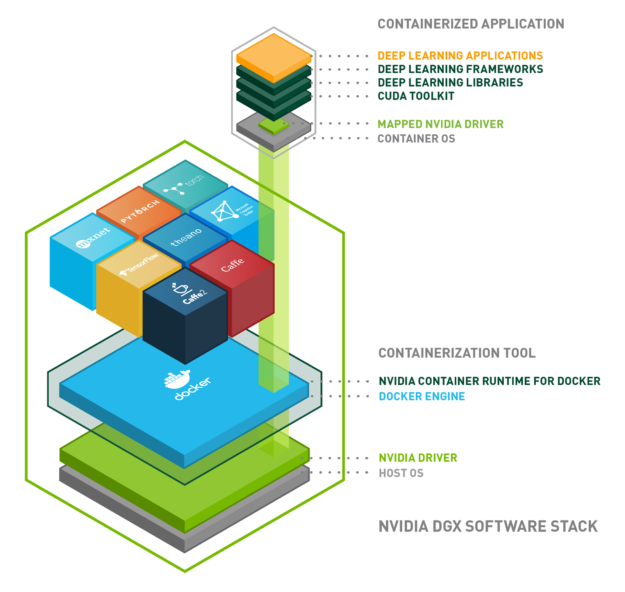 Your system must satisfy the following prerequisites to begin using NVIDIA Container Runtime with Docker. Supported version of Docker for your distribution. Follow the official instructions from Docker. The latest NVIDIA driver. Use the package manager to install the cuda-drivers package or use the installer from the driver downloads site. Note that using the cuda-drivers package may not work on Ubuntu 18.04 LTS systems. To get started using the NVIDIA Container Runtime with Docker, either use the nvidia-docker2 installer packages or manually setup the runtime with Docker Engine. The nvidia-docker2 package includes a custom daemon.json file to register the NVIDIA runtime as the default with Docker and a script for backwards compatibility with nvidia-docker 1.0. If you have nvidia-docker 1.0 installed, you need to remove it and any existing GPU containers before installing the NVIDIA runtime. Note that the following installation steps apply to Debian distributions and their derivatives. Now, let’s add the package repositories and refresh the package index. Then install the various components using the nvidia-docker2 package and reload the Docker daemon configuration. Run the following command line utility (CLI) to verify that NVIDIA driver and runtime have installed correctly on your system (provided as part of the installer packages). The runtime CLI provides information on the driver and devices detected in the system. In this example, the runtime library has correctly detected and enumerated 4 NVIDIA Tesla V100s in the system. The CUDA version detected by nvidia-container-cli verifies whether the NVIDIA driver installed on your host is sufficient to run a container based on a specific CUDA version. If an incompatibility exists, the runtime will not start the container. More information on compatibility and minimum driver requirements for CUDA is available here. Now, let’s try running a GPU container with Docker. This example pulls the NVIDIA CUDA container available on the Docker Hub repository and runs the nvidia-smi command inside the container. Let’s now look at some examples of running more complex GPU applications. NVIDIA offers a variety of pre-built containers for deep learning and HPC on the NGC registry. This example trains a deep neural network using the PyTorch deep learning framework container available from NGC. You’ll need to open a free NGC account to access the latest deep learning framework and HPC containers. The NGC documentation outlines the steps required to get started. This example uses the NVIDIA_VISIBLE_DEVICES variable, to expose only two GPUs to the container. Various files include modifications (c) NVIDIA CORPORATION. All rights reserved. NVIDIA modifications are covered by the license terms that apply to the underlying project or file. Run the nvidia-smi command inside the container to verify only two GPUs are visible. main.py:68: UserWarning: Implicit dimension choice for log_softmax has been deprecated. Change the call to include dim=X as an argument. As discussed in the previous sections, the NVIDIA Container Runtime now provides support for running OpenGL and EGL applications. The next example builds and runs the N-body simulation using OpenGL. Use the sample Dockerfile available on NVIDIA GitLab to build the container. $ docker build -t nbody . The final example uses Docker Compose to show how easy it can be to launch multiple GPU containers with the NVIDIA Container Runtime. The example will launch 3 containers – the N-body sample with OpenGL, an EGL sample (peglgears from Mesa) and a simple container that runs the nvidia-smi command. WARNING: Image for service nbody was built because it did not already exist. To rebuild this image you must use `docker-compose build` or `docker-compose up --build`. Linux Containers (or LXC) is an OS-level virtualization tool for creating and managing system or application containers. Early releases of Docker used LXC as the underlying container runtime technology. LXC offers an advanced set of tools to manage containers (e.g. templates, storage options, passthrough devices, autostart etc.) and offers the user a lot of control. In the references, We have provided a link to a GTC 2018 talk on LXC by engineers from Canonical and Cisco in the references at the end of this post. LXC supports unprivileged containers (using the user namespaces feature in the Linux kernel). This becomes great advantage in the context of deployment of containers in HPC environments, where users may not have administrative rights to run containers. LXC also supports import of Docker images and we will explore an example in more detail below. NVIDIA continues to work closely with the LXC community on upstreaming patches to add GPU support. LXC 3.0.0 released in early April includes support for GPUs using the NVIDIA runtime. For more information and a demo, see this news post from Canonical. 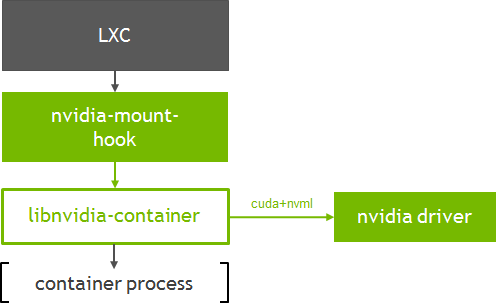 Figure 2 shows how the container runtime library (libnvidia-container) integrates into LXC. Let’s look at running a simple CUDA container with LXC. This example shows how the default LXC OCI template can be used to create an application container from OCI images such as those available on Docker Hub (using tools such as skopeo and umoci). Setup user, group ids and virtual ethernet interfaces for each user. Refer to the LXC documentation on creating unprivileged containers. The sample scripts are provided here for convenience. Use lxc-create to download and create a CUDA application container from the CUDA image available on NVIDIA’s Docker Hub repository. This post covers the NVIDIA Container Runtime and how it can be easily integrated into the container runtime and orchestration ecosystem to enable GPU support. Get started with building and running GPU containers with it today! Installer packages are available for a variety of Linux distributions. Nvidia-Docker 1.0 is deprecated and is no longer actively supported. We strongly encourage users to upgrade to the new NVIDIA runtime when using Docker. The future roadmap includes a number of exciting features including support for Vulkan, CUDA MPS, containerized drivers and much more. If you are running containers on public cloud service providers such as Amazon AWS or Google Cloud, NVIDIA offers virtual machine images that include all the components you need, including the NVIDIA Container Runtime to get started. If you have questions or comments please leave them below in the comments section. For technical questions about installation and usage, we recommend starting a discussion on the NVIDIA Container Technologies forums. Felix Abecassis is a Systems Software Engineer at NVIDIA working on making GPU applications easier to deploy and manage in data centers. 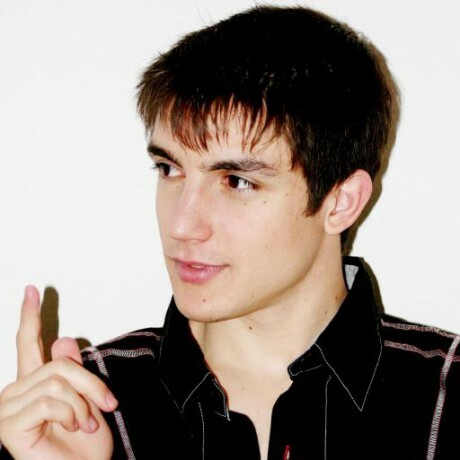 He focuses on supporting GPU accelerated machine learning frameworks. 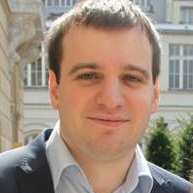 He holds a MSc in Computer Science from the French school EPITA. Pramod Ramarao is a product manager for accelerated computing at NVIDIA. He leads product management for the CUDA platform and data center software, including container technologies.